We are approaching the end of the year 2012! The state of Maine has graciously allowed us to ring in the new year with over a foot of snow. Unfortunately as someone who works in the news business knows, news doesn’t sleep, in fact, it gets busier! So I had to come in early during a blizzard, blech! The drive was fairly uneventful, but I almost did hit a UPS truck. I’m sure if I had, the truck would have won. Well anyway, New Years! Call me crazy, but I really like the idea of a wedding on New Years’ Eve! I think there is something magical about saying your vows right around midnight to ring in the new year. I also love the sparkly romanticism of New Years parties. 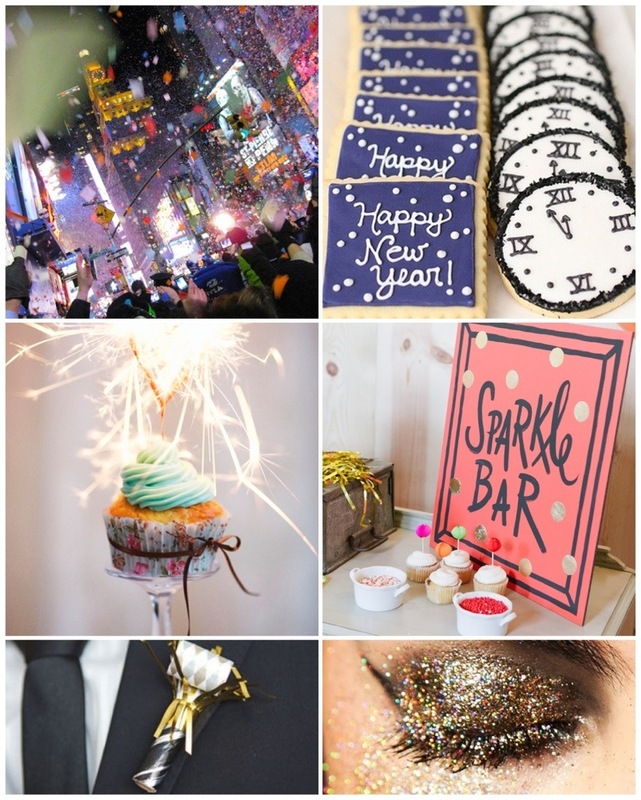 So I wanted to give you some cute New Years inspiration! 1) Keep things small. It might be hard to gather together all your friends and relatives over the holidays, and prices will be high if you want a wedding during that time. 2) Look to family members who might be willing to offer up their house for a New Years’ Eve wedding! You can decorate the house, get married, and ring in the new year with those nearest and dearest! What do you think about a wedding for New Years’? Crazy? Or super romantic?